Hot melt glue sticks bond wood metal glass florals fabric and foam in 20 seconds! MultiTemp sticks are designed to provide a variable flow from low to high covering most materials from delicate to less porous. 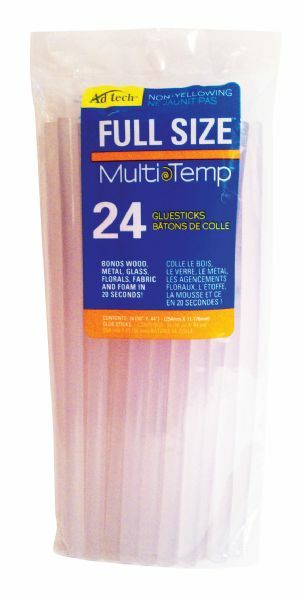 * 24-pack of non-yellowing glue sticks. * 10" long x .44" diameter. 13.5" x 5.5" x 1.38"